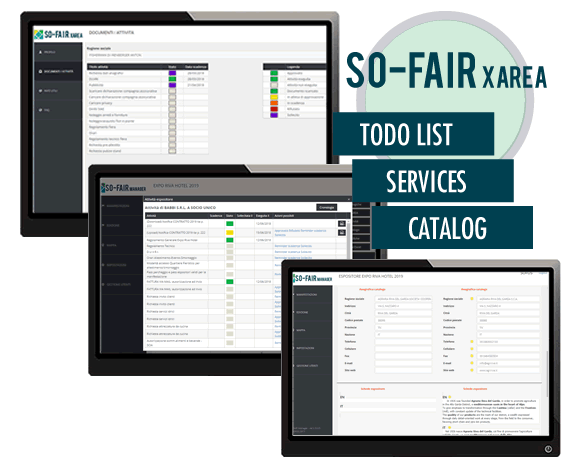 The web application that facilitates the management of the fair event and of each exhibitor’s bookings. 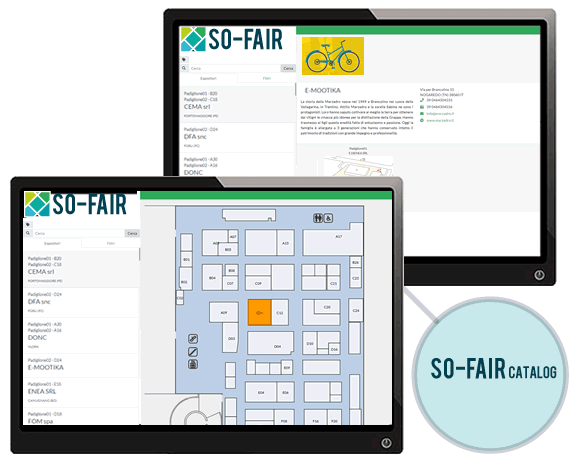 It also allows you to manage the sale of spaces directly from the plant of the event. 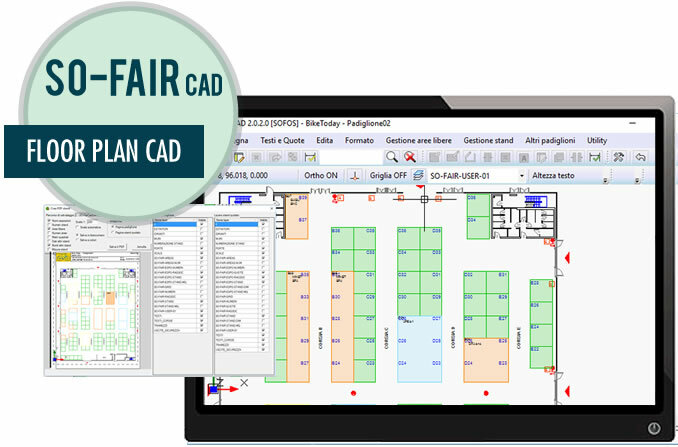 If the event requires the management of a complex sales layout, SO-FAIR provides a CAD tool, thorough but easy to use, which enables you to create and modify free or booked booths of any shape. 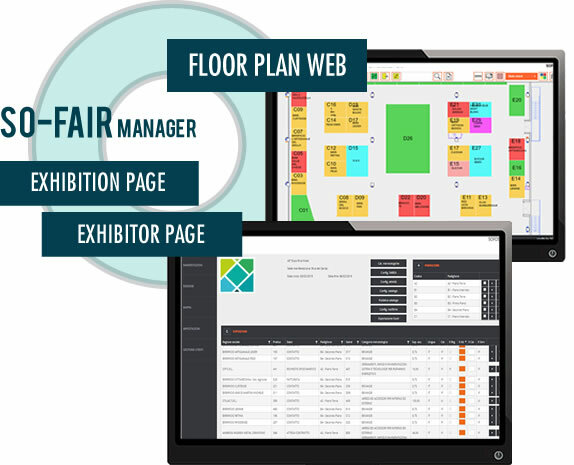 The web application for the online publication of the exhibition catalogue and the interactive layout of exhibitors’ booth for visitors’ consultation. I dati ricevuti tramite il sito saranno utilizzati da www.so-fair.com per scopi statistici interni con mezzi informatici, nel pieno rispetto del Decreto legislativo 30 giugno 2003 (privacy) e art. 13 Regolamento Ue 16/679 (GDPR) e in nessun caso saranno ceduti o diffusi a terzi .